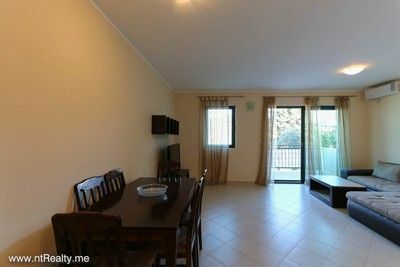 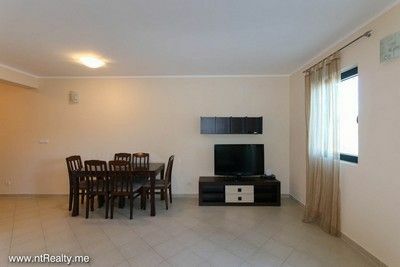 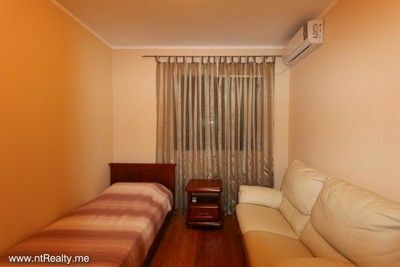 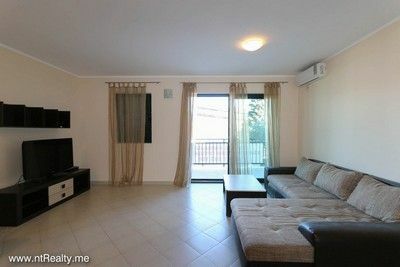 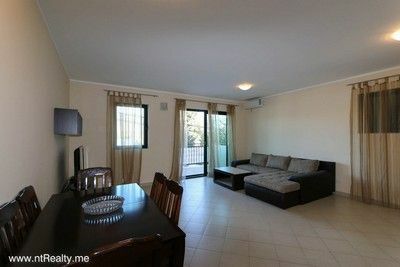 2 Bedroom apartment, with size of 71 m², offers a perfect mix of all the necessary facilities. 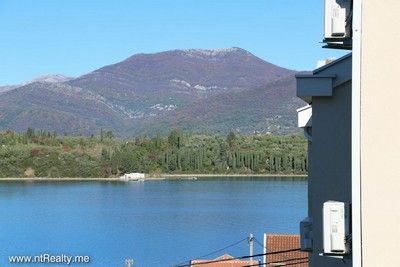 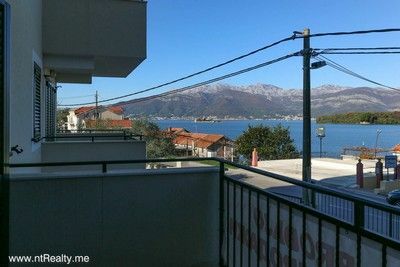 BBQ and huge shared pool area with wooden deckchairs in backyard of the building, garage place for 2 cars and stunning sea view over Tivat' islands St Marko and Lady of Health. 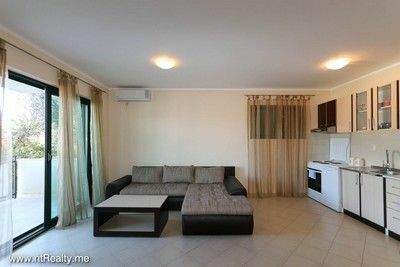 Everything you need for perfect holiday as well as for permanent residence. 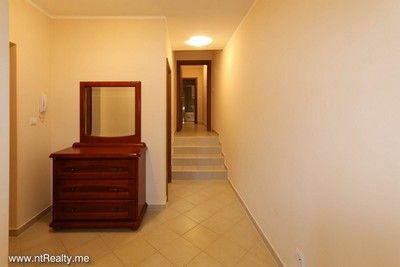 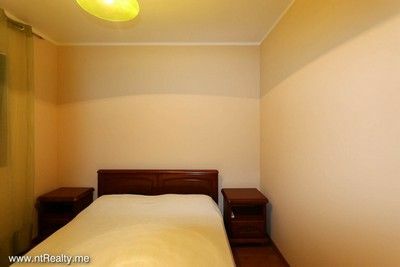 Apartment consists of big entrance hall, living/dining area with kitchen, small balcony, 2 bedrooms, bathroom of a decent size and toilet. 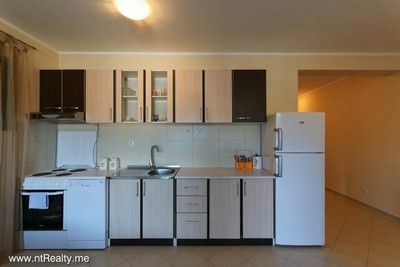 Furniture is included in price. 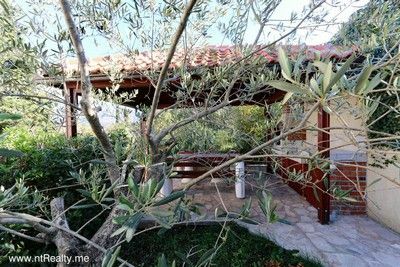 It's very close to the famous Lustica beaches; 7 minutes away from Plavi Horizonti, 15 minutes from Rose, 10 minutes from Lustica Bay complex with future marina, 5-star hotels, restaurants, shops and golf courses. 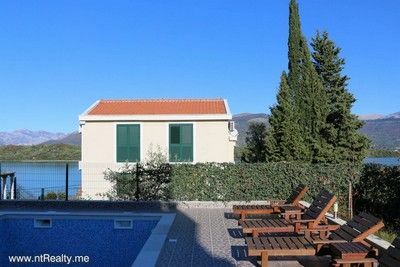 It is not too far from nearby airports Tivat (6 km), Podgorica (80 km) and Dubrovnik (55 km).